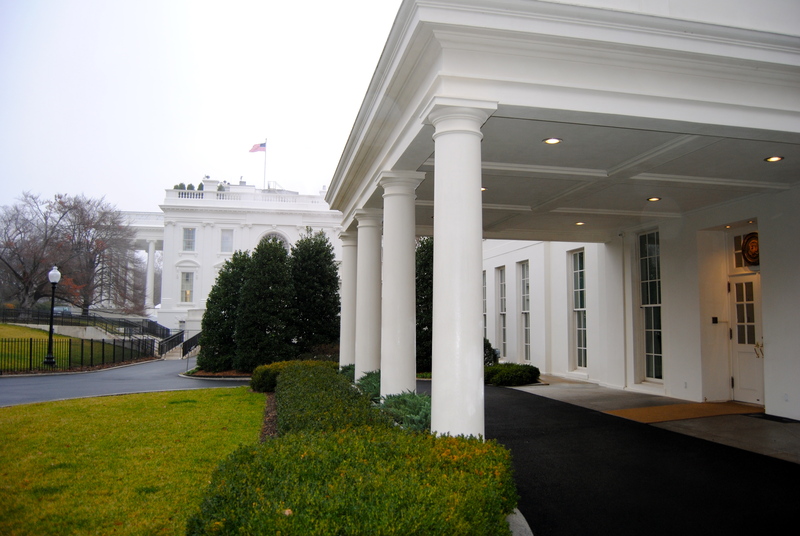 Guided footsteps through the West Wing | Drake in D.C.
With all that Washington D.C. has to offer, what would a trip be without a visit to the White House? After first hearing of our plan to visit the White House today, I didn’t know what or how to feel, or whether it going to be similar to many of the other special buildings that make Washington so special. The plan for me was to keep an open mind and soak up every minute detail said and seen. After quickly realizing how special the White House really is, I had to pinch myself multiple times during the course of the tour. It’s not everyday that I have the chance to see the Oval Office, the Situation Room, or even the White House Pressroom. Trying and failing to find different characteristics of the President. Many things caught my attention during our tour, specifically all of the photos covering the walls. I was struck at the attention to detail these photos represented, and the symbolism shown. 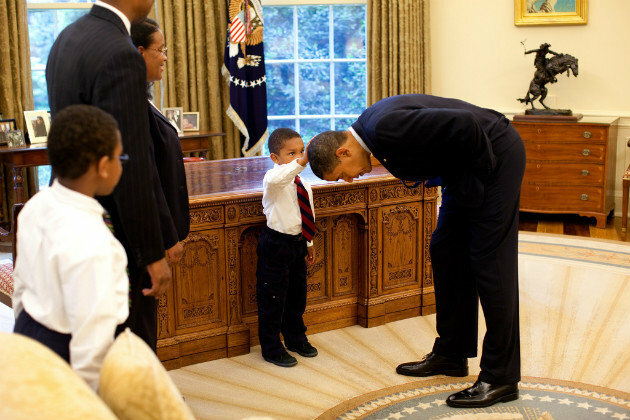 One of my favorites was a photo of a young D.C. school boy touching President Obama’s hair, in seeing that even the President is human. Another detail that caught my eye would’ve been the size of the West Wing, while the pictures depict a large intimidating mansion, I was surprised to see the makeup of small hallways with the unmarked doors of cabinet members as we took our stroll through West Wing. On a side note, if anyone ever has a chance to eat one of the ‘real’ apples in the Oval Office, don’t hesitate, as my stomach growled in hopes of tasting what looked like the most delicious apple I’ve ever seen. As you can guess, my request for a satisfying apple was denied. I certainly owe a special thanks to Zach Nunn, a Drake alum, who happens to be the Director of Cyber Security for the National Security at the White House. Whether it be the walk past the Rose Garden, or simply making eye contact with a marine standing guard, there were many chilling moments during the course of our tour, and I’m happy to have gotten such a wonderful opportunity to see just what a day in the White House may be like.